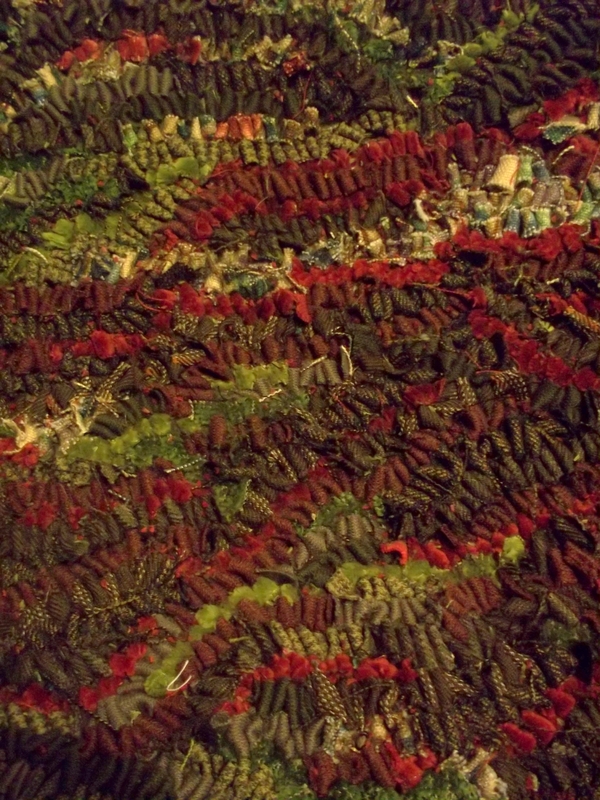 No posts for a while due to utter addiction to rag rugs. Just after I finished the hooked rug of Salts mill I learned the West Riding Ruggers were meeting the next day at Bradford Industrial museum so I toddled on down there. I could not have been made to feel more welcome and I can’t wait for the next meeting. 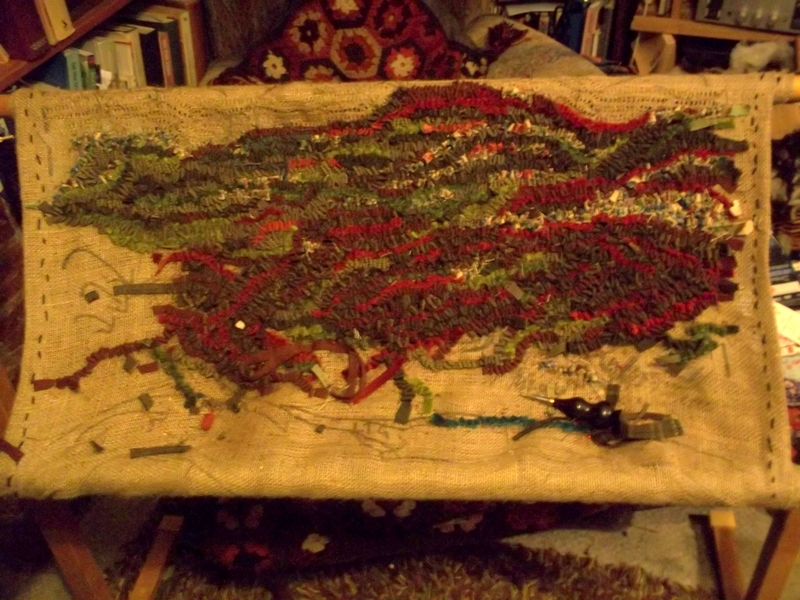 My rag rug has even made it onto their website *beams with pride*. Obviously my efforts are all but puerile compared to the work these ladies produce, but the only way is up! I started a new project a week ago. 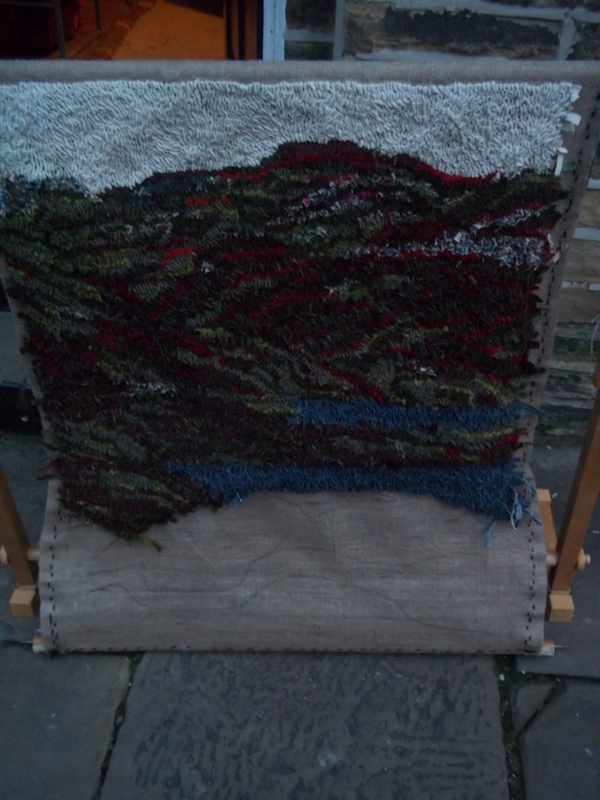 The Salt’s rag rug was quite ‘blocky’, partly dictated by the fabrics I had available. I wanted to do something a bit more free and detailed and being as a box of red, green and brown fabric recently made its way to me, I decided on a moorland landscape abstract thingy. I am about two-thirds of the way through and can’t stop working on it. I haven’t seen my carpet for days, it’s covered in fabric. I am not too sure about the sky, it was blue at first but it drained away the rest of the colours, so it may stay as it is, or it may not. The water was originally hooked with several different blues but I changed it as it was seeming too busy. Hopefully it won’t take much longer to finish but I already have an ever extending list of other projects to take its place. 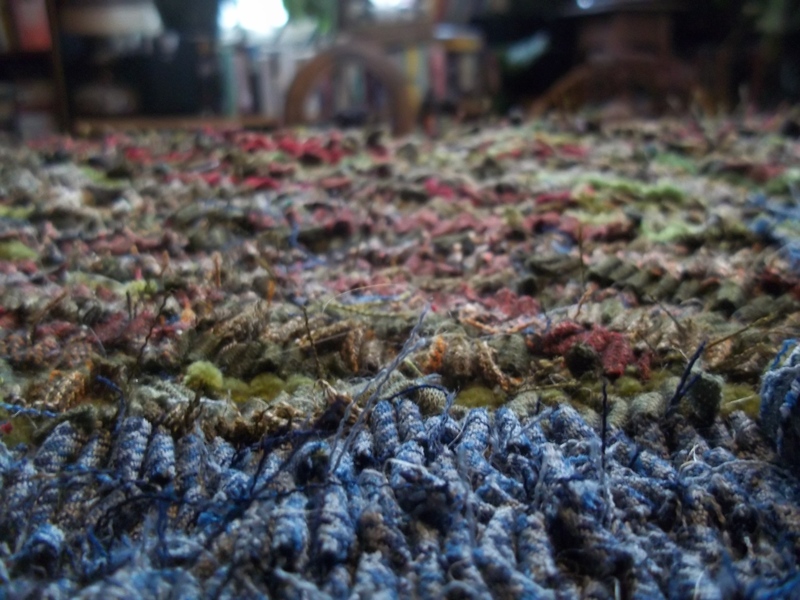 I’ve been trying to take photographs to follow the rug’s progress but as it is usually towards the end of the day the pictures are coming out rather rubbish, for which, my apologies.